Satellite navigation devices used to track Scott Peterson's car after his wife's disappearance sometimes developed glitches, once indicating he was driving 30,000 mph, an expert in the technology acknowledged Monday at Peterson's murder trial. Prosecutors allege Peterson acted like a guilty man and lied to friends and relatives about his whereabouts during the search for his wife, Laci. Defense lawyers maintain he was trying to avoid media attention. Peter Van Wyck Loomis, whose company, Trimble Navigation, made the global positioning satellite technology in the devices police used to monitor Peterson's travels, testified "there were some rare cases where it was off by 15 to 20 yards." In an effort to head off defense attacks on the devices, prosecutor Rick Distaso noted one instance when a tracking device showed Peterson's vehicle was moving at more than 30,000 mph. During pretrial hearings, defense lawyers fought to keep GPS testimony out of the trial, claiming it was unreliable and prone to errors. GPS technology had not yet been qualified as acceptable evidence in a criminal trial in California. However, Judge Alfred A. Delucchi ruled in February that the testimony would be allowed, calling the technology "generally accepted and fundamentally valid." The technology, which uses signals from a network of military satellites, is commonly used by everyone from airline pilots to wildlife management officials and weekend hikers. Prosecutors are trying to prove that Peterson killed his eight-months pregnant wife on or around Dec. 24, 2002, then dumped her weighted body in San Francisco Bay. 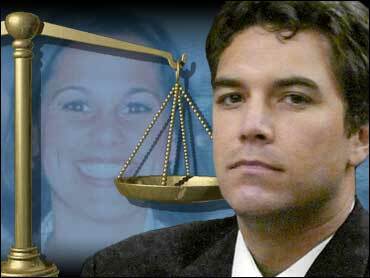 The bodies of Laci Peterson and her fetus washed up on shore in April 2003 not far from a marine where Scott Peterson says he launched his boat that Christmas Eve morning for a solo fishing trip.